We wanna share your feedback on the show and the best way to do that is leave us a rating & review in iTunes or on the Apple Podcasts app. Not only will your rating & review be read on a future ATF episode, it also helps us reach more people, including health & fitness professionals. We’ve been receiving an influx of emails (theatfpodcast@gmail.com) from health & fitness pros, requesting to come on the podcast, and we know that’s thanks to you all. 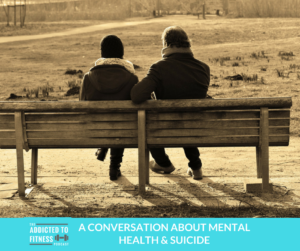 Keep rating, reviewing and sharing Addicted to Fitness and we’ll keep bringing you helpful information on a weekly basis. I was fortunate enough to be interviewed recently on another podcast. The Ask Win podcast, hosted by Win Charles, focuses on guests sharing their expertise to help listeners improve their lives. Win and I talked a lot about fitness including how she has to maintain a regular exercise routine to combat her cerebral palsy. Win is a very inspirational person and I recommend checking out our episode. Shannon also had a busy “training” week. 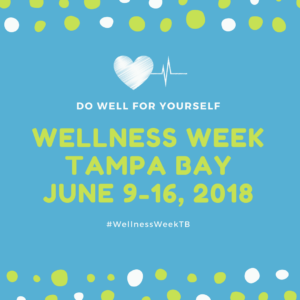 She launched the inaugural Wellness Week Tampa Bay (WWTB) in conjunction with Global wellness day. The social media campaign is focused on highlighting wellness professionals from the Tampa Bay Area. Shannon and I are big believers that maintaining your wellness is a collaborative effort and we want to inspire individuals to take a holistic approach to their health. WWTB was the first campaign of the Florida Kula Project, and we intend to launch another one before the end of the year. Keeping listening & follow our social channels to find out when the next WWTB will be. Sadly, suicide has been very topical as of late. Many celebrities and public figures have taken their own lives. Hearing the news that Anthony Bourdain commited suicide resonated significantly with both of us. We read all his books, watched his shows and followed him on social media. We admired his ability to help you experience cultures without even being there. He was great at demonstrating the profound effect food can have on culture and vice versa. Suicide is currently the 10th leading cause of death in the U.S. Showing signs of anger, rage, extreme aggression or violence. Suddenly abusing alcohol, drugs or prescription pills. Actively showing signs of seeking revenge against someone else. Acting out of character, such as making reckless, sudden and risky decisions. Threatening or talking about wanting to kill and/or hurt oneself. The best advice we can give is be an outlet to someone. Never miss your opportunity to help someone in need. In regards to your own mental health, meditation, self reflection, exercise and proper diet are all ways we believe you can maintain a healthy mental state. You should also feel comfortable connecting with a professional (psychotherapist (Dr. Nydia Conrad @Dr_N_Conrad), social worker, psychologist, counselor) if you need additional help. The National Suicide Prevention Lifeline (1-800-273-TALK (8255)) is also a great tool for friends & family members to use to get information on how they can help someone they believe may be contemplating suicide. I’ll admit that the topic of this episode was not easy to talk about, but I’m sure glad we did. There is no shame in asking for help when you need it. 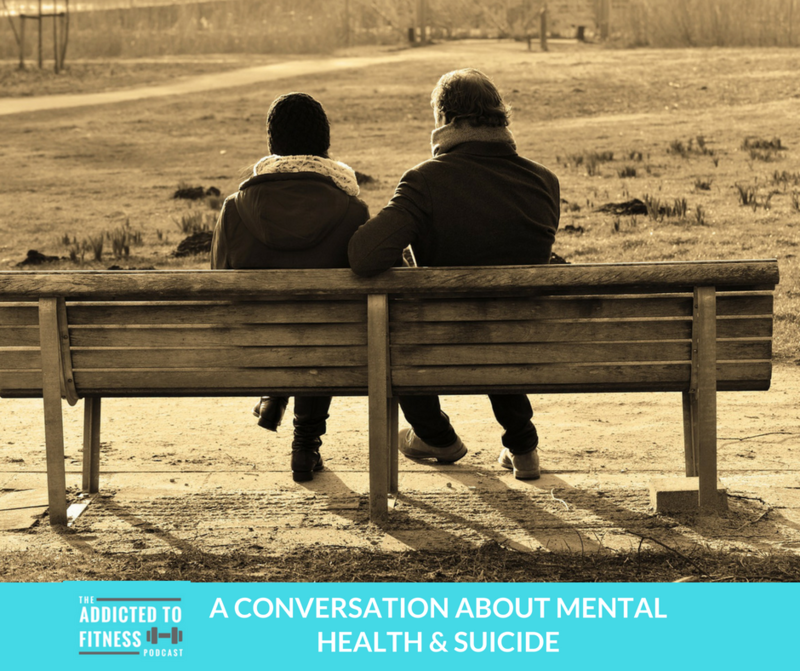 Remember that health & fitness is a community effort, and if your listening to this podcast, you’re a part of the Addicted to Fitness community. 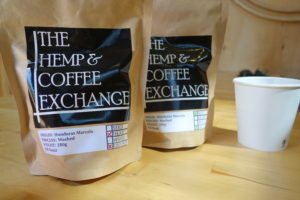 With that said, please visit our sponsors, The Hemp Coffee & Exchange and try some of their delicious coffee. Visit hempcoffeeexchange.com and use our promo code ATF to get 20% off. You can thank us later.